For most people, a home is the single greatest investment that they will make. Homes come with an unknown history that doesn’t always reveal itself to the untrained eye. Attention to detail, years of experience, thorough training and a commitment to customer satisfaction are the things Boggs Inspection Services brings to every home inspection. Boggs has no shortage of customers willing to share their experiences, all enthusiastic to endorse them. Here are just a few customers’ stories. One of the most common sentiments expressed by customers is the overwhelming peace of mind that comes along with have their home inspected by a reputable home inspection company. A first time home buyer, Libby’s realtor recommended Boggs Inspection Services and helped her make an appointment. Team member George Green conducted the inspection. She describes him as “knowledgeable and patient.” And says it gave her peace of mind to have a trained inspector point out things for her to keep in mind about the care of her new home. 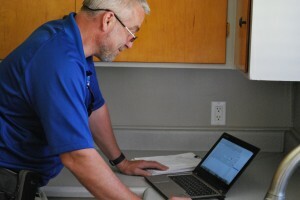 Inspector Keith Bowman checks every nook and cranny during an inspection by Boggs Inspection Services. Photo courtesy: Boggs Inspection Services. Two years ago, Jennifer was also a first time home buyer. She remembers having a million questions and felt empowered in the information that a Boggs Home Inspection provided her. She wants to acknowledge the patience with which her questions were answered. Walking around her new home with the Boggs Home Inspector, Jennifer felt that she was not just receiving an inspection service, but was learning many things that would enable her to be proactive in her home maintenance. She appreciates the detailed report that she received, which continues to serve as a reference for caring for her home. Mary is a repeat customer. She says she first found Boggs Inspection Services about five years ago when they were recommended by a trusted friend who never leads her wrong. At the time, her home was about 15 years old, and she realized that she didn’t know much about the care of houses, but she thought it would be a good idea to have a professional come in and give her an idea of the kinds of things she should be doing to maintain it. Dwayne Boggs inspected her home, providing a thoroughly detailed report with recommendations about things that were more serious than others, so she could prioritize her repairs. Mary says she ended up taking care of all the things on the list over time. Now, she is in the process of buying a new home, and she said that Dwayne Boggs is the first person she thought of to check out her potential purchase. With the detailed report she was able to make decisions about repairs she wanted to negotiate with the seller, as well as have a list of smaller things she would work on once the home became hers. Mary appreciates Boggs Inspection Services flexibility and availability as well as the kindness they show and care they take with their customers. With a background in building permits, Rick has some idea of what to look for when walking through a building, in regards to code requirements. 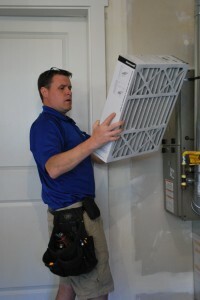 But with the purchase of his new home, he knew he wanted a professional with experience to give a thorough inspection. His inspector from Boggs Home Inspection was able to point out some things about the electrical wiring, the heat pump and an issue with water damage on the siding that Rick says he may not have noticed. Like many other customers, Rick also appreciates the detailed report that he used to make his own checklist of things he needs to take care of in the future as he continues to care for his home. Kathrine points out the level of detail provided within the report. Written descriptions and pictures with arrows is a relief when so much of the home buying process is a daunting one, especially for the first time home buyers like her. She felt at ease with her Boggs Inspector who was so friendly, personable and professional. 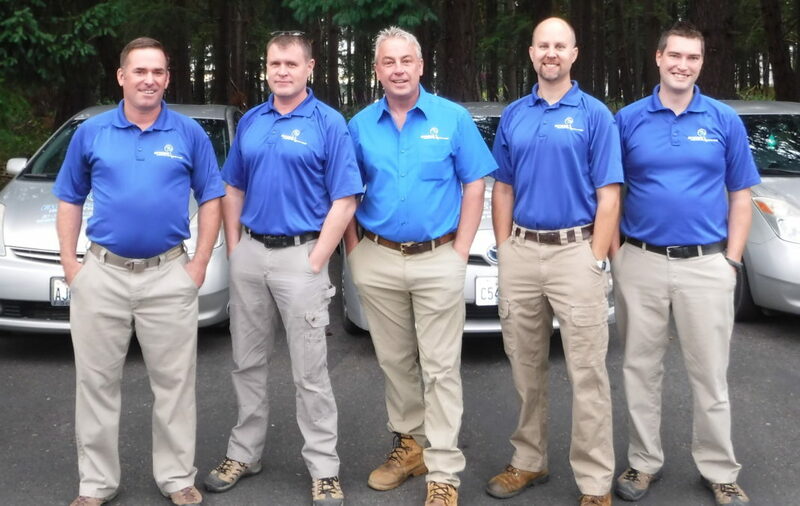 Whether you are in the process of purchasing a new house, or have lived in your home for some time, Boggs Inspection Services can offer a trained set of eyes to inspect your home from attic to crawlspace and everywhere in between. A detailed, professionally prepared home inspection report can offer home owners peace of mind when maintaining the investment in their home. Contact Boggs Home Inspection at 360-480-9602 or make an appointment online.